Merlin, the global digital rights agency representing 20,000 independent labels including the likes of Beggars Group, Cooking Vinyl, Domino, Epitaph, Kobalt Label Services, Merge, Ninja Tune, [PIAS], Secretly Group and Warp Records, has released its annual report. 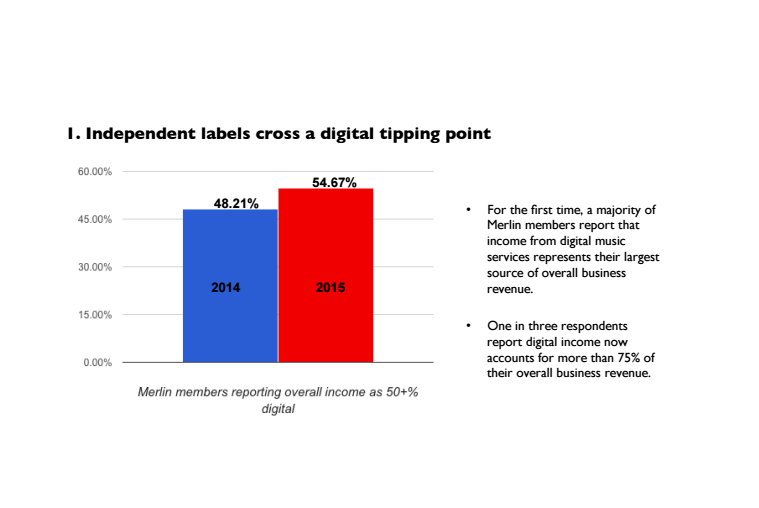 Independent labels have crossed a digital tipping point. For the first time, more than half of respondents report that income from digital services accounts for over 50% of their overall business revenues. For one in three, digital income accounts for over 75% of their overall revenues. 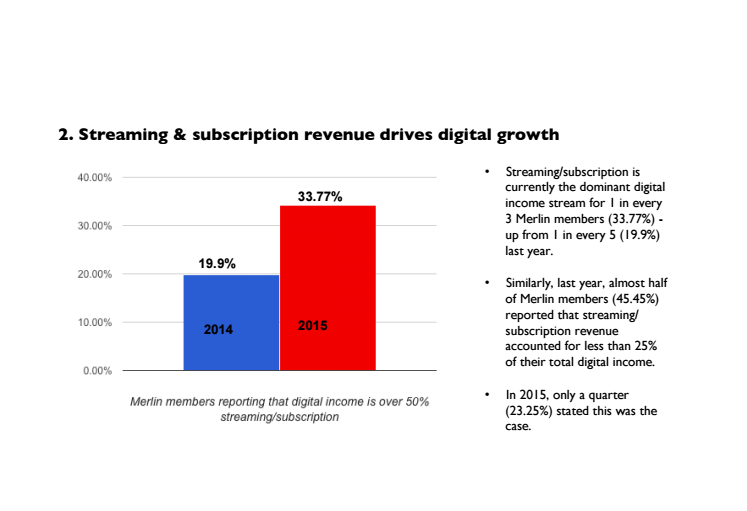 Streaming/subscription income is driving digital growth. 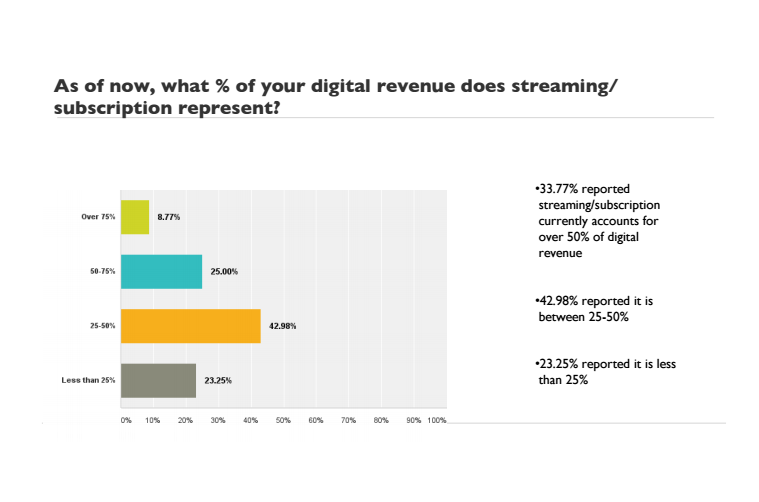 One in three respondents report that income from audio streaming & subscription services now accounts for over 50% of their digital revenue – up from one in five in 2014. 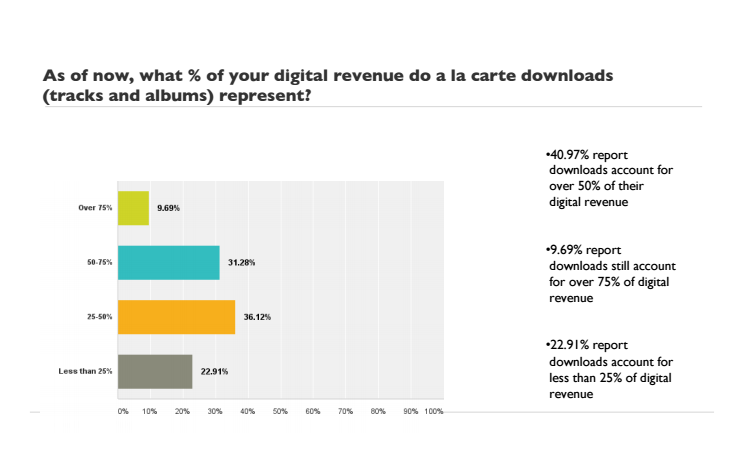 Total digital revenues increased in 2014 for almost 75% of respondents. 17% reported their overall digital revenues increased by over 50%. The majority of Merlin members report overall business growth. Despite a fall in download sales, 65% of respondents reported an increase in overall business revenues in 2014 (compared to 62% in 2013). Only 16% of respondents reported a decrease in overall 2014 business revenues, compared to 18% the previous year. Merlin also reveals that it saw a 43% increase in year-on-year revenues (April 2014-March 2015) to $137.8m. In March 2015 alone, audio tracks by Merlin members were streamed more than 2.5bn times – an increase of over 1bn from the same period last year.